Auburn Rotary Club transitioned to a new leader on June 24, 2015 during the annual meeting. 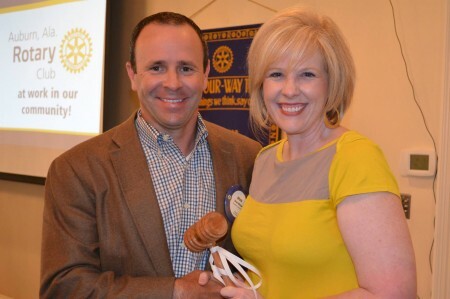 Brad Wilson, Vice President (left) accepted the passing of the gavel from Kathy Powell, President (right). Wilson assumes the duties of President of the Auburn Rotary Club on July 1, 2015.